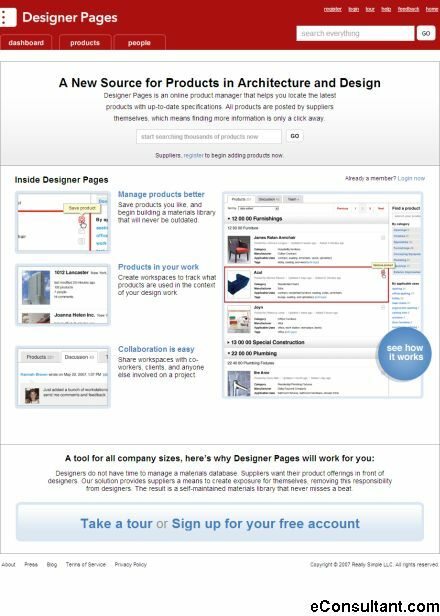 Description : Designer Pages is the Architecture and Design trade’s new interactive online connection to the latest design products with up-to-date specifications. This collaborative community bridges the gap between designers and suppliers so that professionals can spend less time product hunting and more time on their craft. Suppliers post and maintain all product listings, so getting in touch with them is just a mouse-click away.